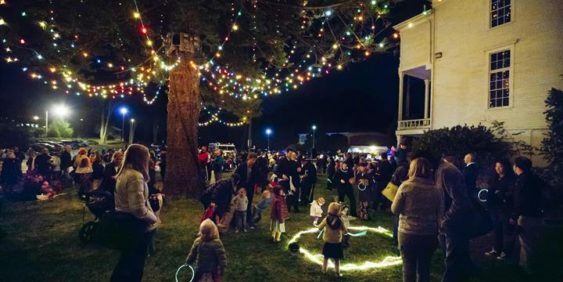 The Presidio invites you to partake in the annual, magical tree-lighting ceremony, a decades-old tradition for the neighborhood. Plus there will be a lantern-lit evening forest walk. Light the tree and sing holiday classics along with the Golden Gate Carolers. Light refreshments and kids activities will follow in the Presidio Community Y gymnasium. After the tree lighting, don’t miss the lantern-lit evening forest walk at 6 pm. Partners include the Presidio Y, National Park Service, US Park Police, SF Fire Department, Presidio Residences, and Art Seed. Looking to do some early holiday shopping? Stop by the Presidio Visitor Center before holiday lighting for 25% off retail items.